What Countries Produce the Finest Coffee? Asking a coffee drinker what countries produce the finest coffee is like asking beer drinkers what country produces the best brew. Coffee is such a personal thing to so many people; it is an experience enjoyed based on one’s personal preferences and tastes. The only way to even begin answering the question is to base it on some non-arbitrary information such as production, sales, etc. Where raw production is concerned, there are clear winners and losers. 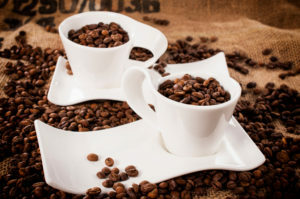 According to the European Coffee Federation, there are about 70 coffee-producing countries around the world. Brazil is the clear leader in production, putting out nearly 50,000 tons of green coffee every year. Vietnam, Indonesia, Columbia, and Ethiopia round out the top five. One could make the case that volume does influence quality inasmuch as the finest products would tend to sell the most. On the other hand, there are some very fine products in other categories that do not enjoy strong sales because only a select few can afford them. So raw production alone does not determine what country produces the finest coffee. Other criteria must be used. Coffee growers the world over have learned what constitutes optimal growing conditions in terms of weather, soil and so on. Using this as a criterion can help us to determine who produces the finest coffee based on the idea that the best growing conditions will produce the finest product. What we are looking for are good soil, consistently warm temperatures, ample sunshine, and sufficient rainfall. Using growing conditions as a measure leads us to Hawaii first. While Hawaii is the only U.S. state in which coffee is grown, the product that comes from the Kona region of the Big Island is some of the most sought-after coffee in the world. The Big Island’s combination of the tropical weather and rich, volcanic soil provide a near-perfect growing environment. Growing conditions are also near ideal in Jamaica, Brazil, Colombia, Ethiopia, Kenya, and Java. Colombian coffee is very popular around the world because of its mild flavor and well-balanced acidity. Small growers in Columbia would certainly be in the running as the world’s finest producers. That said, they face stiff competition from coffee growers in Ethiopia. History suggests that Ethiopia was the birthplace of coffee, and making the case that coffee’s birthplace is the home of its finest production is not hard. Another front-runner is Jamaica and its Blue Mountain coffee. This coffee is extremely hard to find in the U.S. because production is limited. Nonetheless, Jamaica’s cooler temperatures and rich mountain soil produce a coffee that is milder and sweeter than products from Africa and South America. In the end, the country with the finest coffee is simply the one you prefer. Here at Galaxie, we continually strive to bring our customers the finest coffees on the market. We proudly serve the greater New York area with coffee, tea, and a full line of additional beverages and allied products. If there is one thing that we can say about the classic American marketing company, it is that they are incredibly adept at creating a need and then finding a way to fill it. We see this in the coffee business all the time. For example, the single serve coffee machine was considered a luxury when introduced in the early 2000s. Ten years and millions of marketing dollars later, single serve machines are considered a necessity. So what’s the next big thing coming in coffee? The cold brew coffee maker. Cold brew coffee is today what latte and cappuccino were seven and eight years ago. 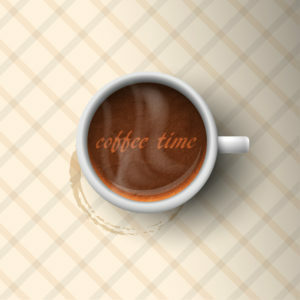 It is the new hip coffee drink among young professionals and older coffee drinkers alike. How hip is it? It is so hip that even in a country like England, where they are more known for their tea than coffee, cold brew coffee is all the rage. You can buy cold brewers in London as easily as you can in New York. A person who wants cold brew coffee cannot just brew a pot with a traditional hot water machine then throw it in the refrigerator for a few hours. No sir. Cold brewing is an entirely different process that extracts different flavors from the coffee bean. It has been said that cold brew coffee is milder, gentler, less acidic and naturally sweeter. The problem is that the brewing process takes 12 to 24 hours. In order to allow your coffee to steep for that long without ending up with grounds suspended in the final product, you need a special cold brewer capable of suspending the coffee in the water while keeping it all together. To that end, a number of manufacturers have come up with cold brewers. The clear leader right now is the Toddy Cold Brew System. Toddy has been making cold brewers since the 1960s, but they have remained largely obscure in the absence of a cold brew craze. Now that the craze is on, Toddy is quickly becoming a household name. Competitors include household products manufacturer OXO, French press maker Bodum, and Filtron. So, will the cold coffee craze make it to the average office environment? Probably not. At least not where brewing in the office is concerned. Who has the foresight to set up the cold brewer the day before the coffee will be consumed? Moreover, at the rate office drinkers down their java, it would take too long to cold brew enough to keep the entire office happy every day. Cold brew coffee will continue to be the domain of neighborhood coffeehouses and mass producers capable of putting out thousands of bottles per day. As for the Galaxie team, we will keep right on with our mission of providing the greater New York area with coffee and beverage service that our customers can rely on. We would be more than happy to serve your office.